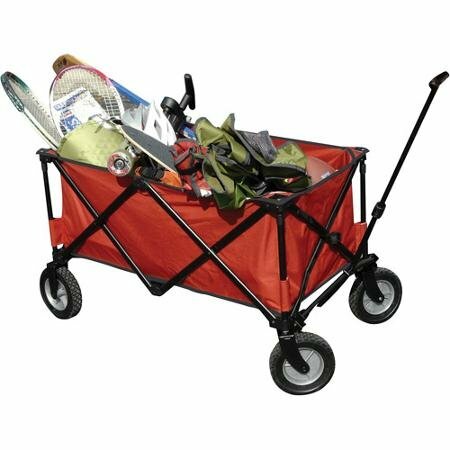 The Ozark Trail Folding Wagon has plenty of space, yet folds to a compact size for storage. 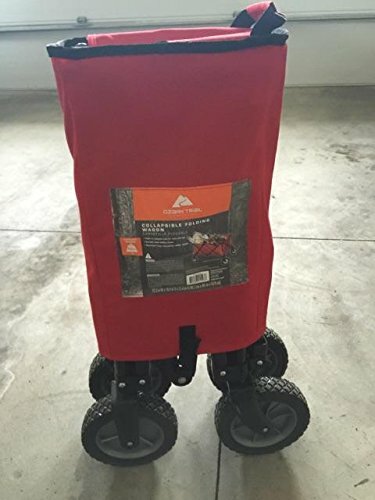 The frame is made from durable steel while the body is constructed of a strong and flexible material. 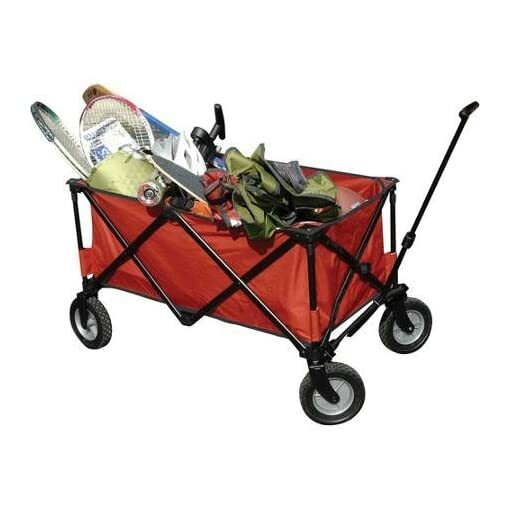 This outdoor wagon also features oversized, heavy-duty rubber wheels.